Embedding the combined jQuery world map into travel websites. Travel websites always have their own specific in interacting with the visitors. For that reason interactive map became one of the most popular instruments where the website owner can provide the visitors with last information about actual tours through the world or separate countries. During our work with travel website developers we suggest them several versions of our interactive maps depending on the company level. For large companies which provides the world tours we can offer our jquery world map which can be combined with US locator map or not. 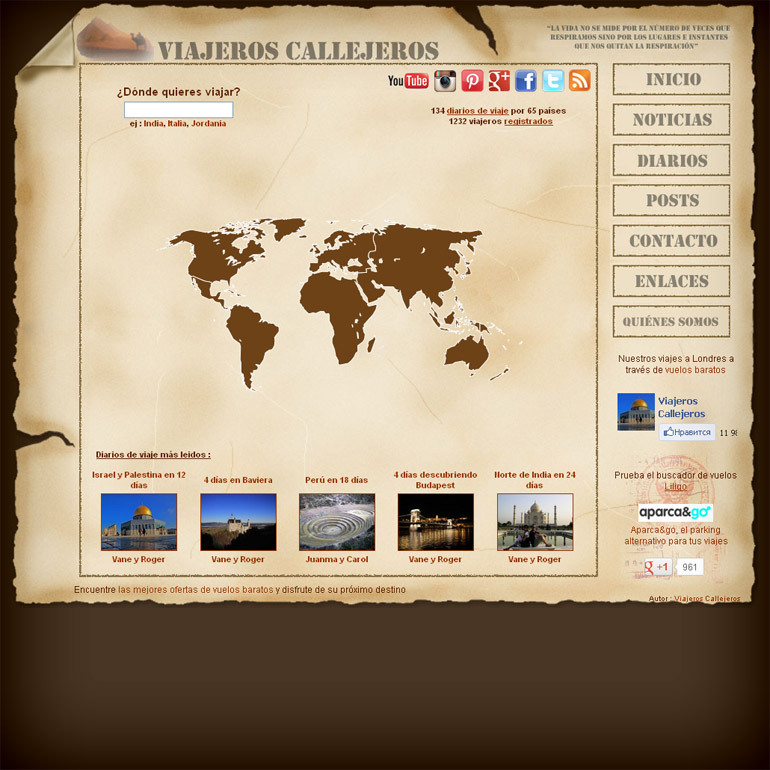 One of successful examples of such maps embedding is a map from Viajero Scallejeros official website. The developers successfully combined this map with the original website design that can really attract more visitors. The map has two drill-down levels – first level can show a visitor the complete tour program throughout separate world region and the second level leads the visitor to the separate window with more information about the tour and the selected country. Also the developers customized the separate countries color in dependence on the tour availability. Using the interactive maps with travel websites makes them really attractive.